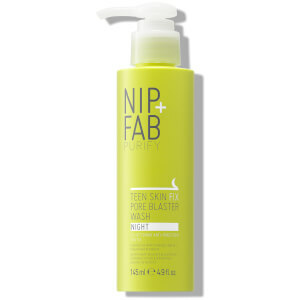 Sweep away excess make up, oils and residues with the Teen Skin Fix Pore Blaster Day Wash by NIP+FAB. Enriched with powerful antioxidant Wasabi Extract and a cocktail of vitamins, the micellar foaming gel formula is designed for gentle daily cleansing and suited for sensitive skin. Prep skin for the day so you can go shine-free and feel refreshed. Use every morning on wet face. 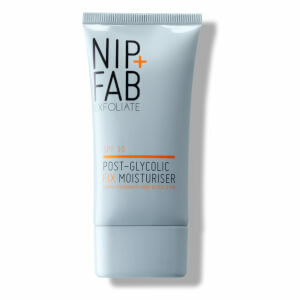 Gently apply in circular motions to activate foam then rinse thoroughly to remove. Aqua (Water), Sodium Laureth Sulfate, Sodium Chloride, Cocamidopropyl Betaine, Glycerin, Disodium EDTA, Disodium Phosphate, PEG-40 Hydrogenated Castor Oil, Phenoxyethanol, Benzyl Alcohol, Parfum (Fragrance), Coconut Acid, Allantoin, Lactobacillus/ Wasabia Japonica Root Ferment Extract, Niacinamide, Panthenol, Tocopheryl Acetate, Zinc Gluconate, Benzyl Salicylate, Dehydroacetic Acid, Sodium Hydroxide, Citric Acid. My daughter has this and the night version. 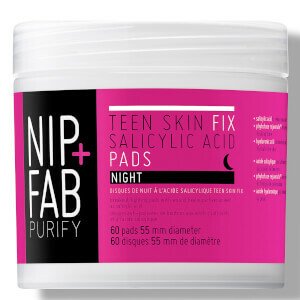 Really effective at improving skin and reducing spots. 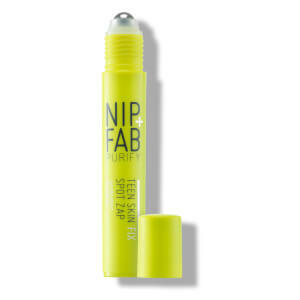 Best product she's used. It was a gift from a friend my skin was ina bad place and after using this I feel fresh and natural, would definitely recommend!!!!! !